Hey, everyone! I just read a story that touched my heart as a mother, and just wanted to share. There's a little boy named Ryan that is very sick and doesn't have much longer until he goes "home". You can read the story on his Facebook page. His mom is asking that everyone have a banana split for dinner with their kids. 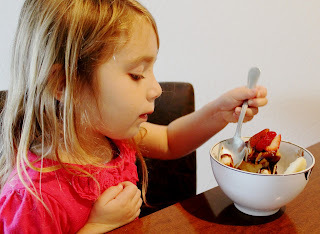 So tonight we had banana splits for dinner in honor of Ryan. We should all live life to the fullest, and make memories with your babies because we never know how much time we really have! Our banana splits had bananas (of course), Blue Bell vanilla ice cream (so good! 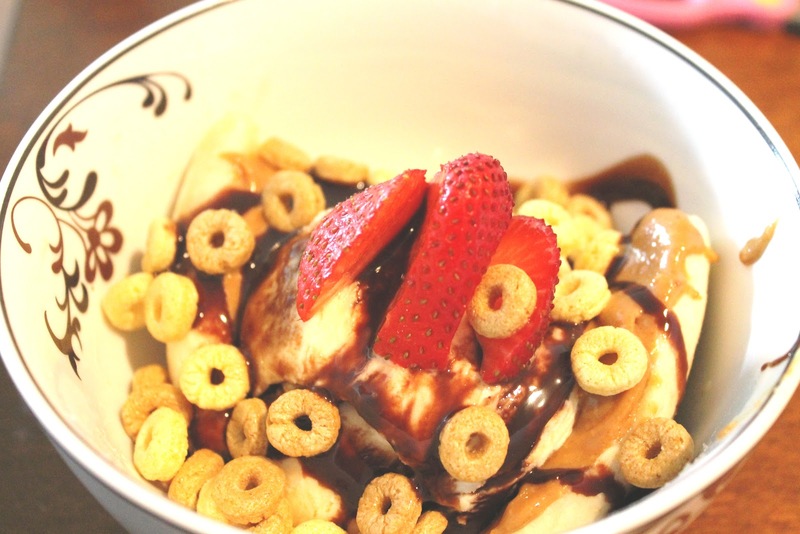 ), peanut butter, chocolate syrup, strawberries, and Dulce de Leche Cheerios. Looks Yummy! I'm following you from To Sew's blog hop. Just started my blog, I would love for you to visit.